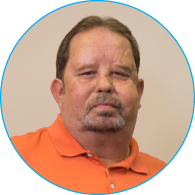 Dennis White began his career with PeopleService in 1993 in the city of Nora Springs, Iowa. Dennis attended a PeopleService seminar and took the contract operations message to heart. He saw the benefits for his family, the city he was working for and the people who lived there. Dennis is a true believer. He is totally invested in the water and wastewater profession and totally devoted to being a true steward of the environment. Dennis believes in the mission and he believes in the people he works for and the committed group of professionals he leads as the region manager for Eastern Iowa. “Our people play a vital role in the communities we serve. What we do is important. There are no parades for the work we do, but the level of knowledge and professionalism I see every day in the water and wastewater industry is amazing,” said Dennis. Dennis has always been involved in the water and wastewater industry. He helped develop a Local Collection System Committee, served on Red Cross boards and donated his time and knowledge to his local fire department and ambulance service. He was instrumental in developing PeopleService’s first employee safety training program, which makes sense because he is so committed to the safety of the people he serves and the people who work for him. Learn more about Dennis and connect today.